A 16 oz. Bottle of Emmet's Elixir is a convenient and economical companion to any oiled Butcher Block. Whether it is a cutting board, a prep surface or a countertop it will rejuvenate and protect dry or well used Butcher Block. The special formulation of mineral oil and beeswax adds to the life of any wood cutting surface by penetrating and sealing the block. 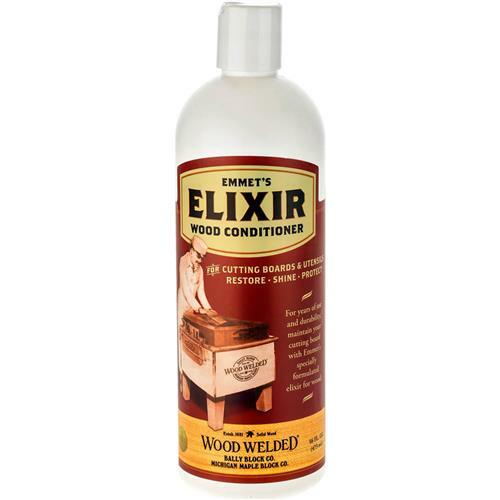 Butcher Block can last a lifetime or longer when properly cared for and Emmet's Elixir is an essential part caring for your block.